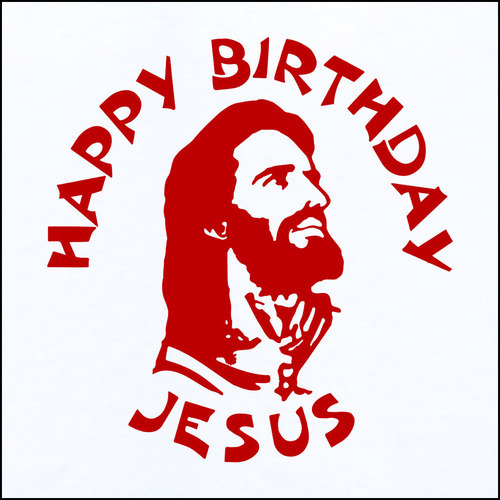 We know it’s probably not Your birthday, but it’s the day we celebrate Your being born in the flesh to become fully God and fully man. Thanks for all You have done for us as Your spiritual people and for those who are Your physical people. We truly look forward to an eternity with You. Today is all about Him. Be blessed. Scripture says Mary kept things close to her heart, which means they were basically verbally unexpressed. She did know that Jesus was the baby born of a union between her and God the Holy Spirit, so she did know that He was divine and special. Whether she knew He would someday walk on water, we don’t know. What we do know is that she was aware He could spiritually change physical things like He changed the water into wine at the Cana wedding, so astonishing the one who oversaw the feast. It was the custom of the day to serve an inferior wine after serving the best to the guests. Did Mary know He could heal? Scripture doesn’t say, but I believe she did. It would be interesting to know what went on in her household while Jesus grew into maturity. Pastor G and I pray you join us in celebrating Jesus this December 25. It likely is not the day He was born, but it’s a day worth celebrating because it is all about Him. Be blessed. that nothing can separate you from His love. 31 What then shall we say to these things? If God is for us, who can be against us? 32 He who did not spare His own Son, but delivered Him up for us all, how shall He not with Him also freely give us all things? 33 Who shall bring a charge against God’s elect? It is God who justifies. 34 Who is he who condemns? It is Christ who died, and furthermore is also risen, who is even at the right hand of God, who also makes intercession for us. 35 Who shall separate us from the love of Christ? Shall tribulation, or distress, or persecution, or famine, or nakedness, or peril, or sword? Pastor G and I pray this passage will always be part of your life. Be blessed. He sees everything you do and is well-pleased when you do things that truly delight Him. You are truly the apple of His eye. 8 For thus says the Lord of hosts: “He sent Me after glory, to the nations which plunder you; for he who touches you touches the apple of His eye. Pastor G and I pray you understand how precious you are to God. He has ordained and anointed you and looks to see you live His love. Be blessed. how to live His love. Like with everything, God teaches us how He wants us to live and love. He wouldn’t task us with such an important mandate without showing us how. So, do you do things in a spiritually just manner? God can help you do this if you ask Him. Do you love mercy and show compassion? Do you walk humbly with your God or does pride get in the way? Do you really think you know better than God how to live and love? Pastor G and I pray you can see what it takes to live God’s love. We rejoice in whatever changes you make to leave your carnal nature behind and replace it with these wonderful qualities that will remain with you for eternity. Be blessed. how very important spiritual love is to Him. Love is not only who God is but what He does, and He looks for the same in us. After all, He works to transform us into the love that He is. Note verse 34. These are those who live His love and who God wants with Him for eternity. Oh, I long to be in that group. How about you? Is that kind of spiritual love so natural to you that you automatically perform these acts of love? I pray you do and that, like these sheep. being love like that doesn’t occur to you until it’s pointed out. Pastor G and I pray that you ask God to be love as He is. Scripture says that love covers a multitude of sins, and who among us is not guilty of sin? Let’s focus on being love to all He sends across our path and to recognize those divine opportunities to show love. God’s blessings and love be with you all. God wants you to know……. How very much He loves you. It goes way beyond John 3:16. He loves you so much that He said He would never leave or forsake you. (Yes, Jesus is God!) Note He looks for appropriate conduct and an attitude of gratitude, though. He looks for you to live the love that’s in you and for others to be able to see the difference between how you are and how those that don’t know God are. Pastor G and I pray that you meditate upon these things while asking God to transform you into one He truly loves and desires to spend eternity with.